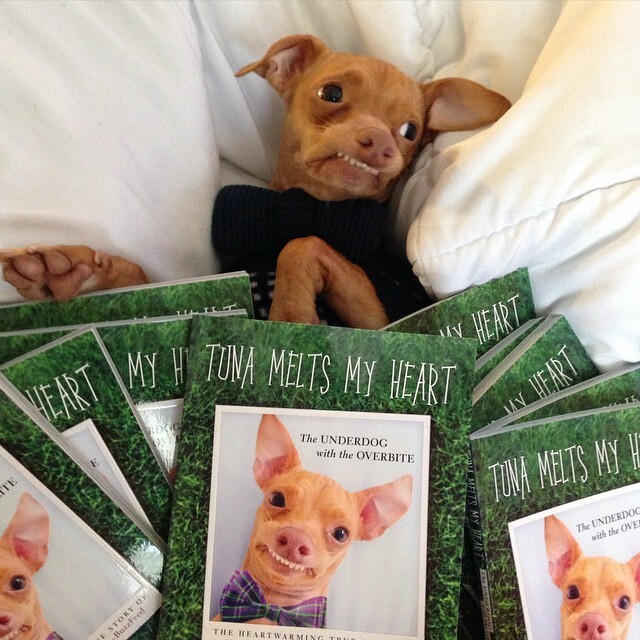 Tuna, star of the book “Tuna Melts My Heart,” is the world’s most famous and absolutely adorable shelter dog with a matching sense of humor and personality (with translating help from his human). Tuna, together with Barkbox and Harlow & Sage, held an internet fundraiser for the rescue groups and shelters attending the Ridgewood Veterinary Hospital’s Adopt-A-Pet Day to help the groups continue their work finding forever homes for pets. Thanks, Tuna, for all your help and your fabulous smile that brings joy to people and hope to animals everywhere. Thanks to Barkbox and Harlow & Sage for also promoting the fundraiser and the human-animal bond. If you have room in your heart and home for a loving pet, please save the date and attend Adopt-A-Pet Day on Sunday, September 20th from 11am-4pm at our Ridgewood Office. Experience the joy of unconditional love!